This 70th Anniversary edition includes a CD with live performance demonstrations. 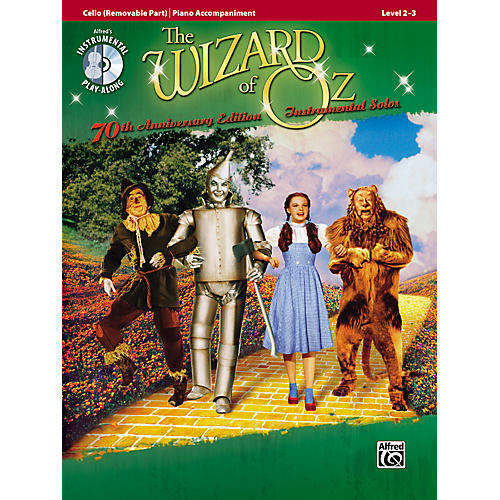 The Wizard of Oz 70th Anniversary Edition Instrumental Solos: Cello includes such classic titles as "Over the Rainbow," "We're Off to See the Wizard," "If I Only Had a Brain," and more-all arranged and edited for the Level 2-3 instrumental player. Also included is a CD that features live demonstration performances of the instrument tracks.